Nashville’s favorite couple is back at it again! 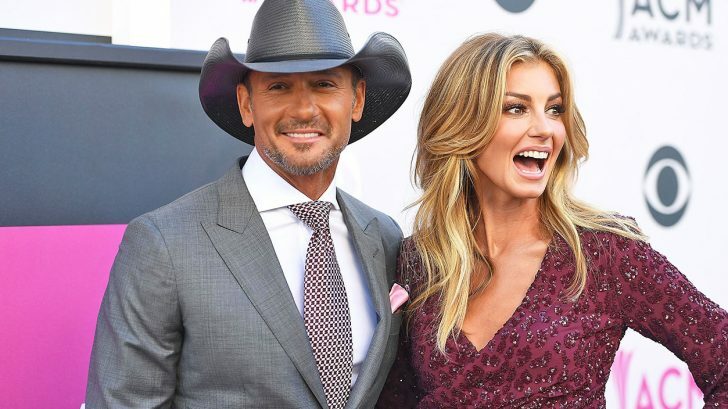 Power couple Tim McGraw and Faith Hill have been setting standards high for couples since 1996 and they haven’t slowed down since. From headlining tours to becoming parents, they’ve been through it all. Nonetheless, on top of their busy schedules, Tim can still find the time to appreciate his leading lady. Tim and Faith met back in 1994 at a country radio seminar in Nashville. In 1996, Tim invited Faith to be the opening act on his Spontaneous Combustion Tour and it was then that they couldn’t deny their instant chemistry. It wasn’t long before Tim popped the question to the woman who would soon be his forever. Their love story includes a surprise wedding, three baby girls and a world tour. As their story continues to unfold, the couple often reminisces on their early days with one another. For their 22 anniversary, Faith posted a sweet series of pictures looking back on their younger days with one another. It’s safe to say, nothing has changed – their love still remains strong as ever! Tim also posted a throwback photo of himself from his high school football days. In honor of the Superbowl this Sunday, he showed off his sporty side.